This was a direct quote uttered by one of my colleagues while reading a text from her daughter, who had recently landed a job working for a popular retail chain. My first thought was, “Maybe this is just a flaky kid?” Nope. It turns out she’s actually the opposite of flaky: A+ student; strong work ethic; has successfully balanced school, dance and part-time jobs since she was 14 years old. So what happened this time? It turns out her onboarding experience consisted of taking in a tsunami of information, delivered in long, boring sessions that left her feeling drained and overloaded with information. After the “official” onboarding period ended, her training abruptly stopped, and she was released out onto the floor to serve customers. While she did her best, she’s only human, and we humans quickly forget what we’ve learned if the information isn’t reinforced (hello, forgetting curve!) As a result, she felt out of her element, unsure if she was doing the right things and unclear on how to get past the hurdles. Being new, she also hadn’t formed any strong connections with coworkers yet. As the weeks progressed, she felt increasingly disconnected from the brand and her team. She handed in her resignation after only four weeks on the job. Here’s some good news: it doesn’t have to be this way. 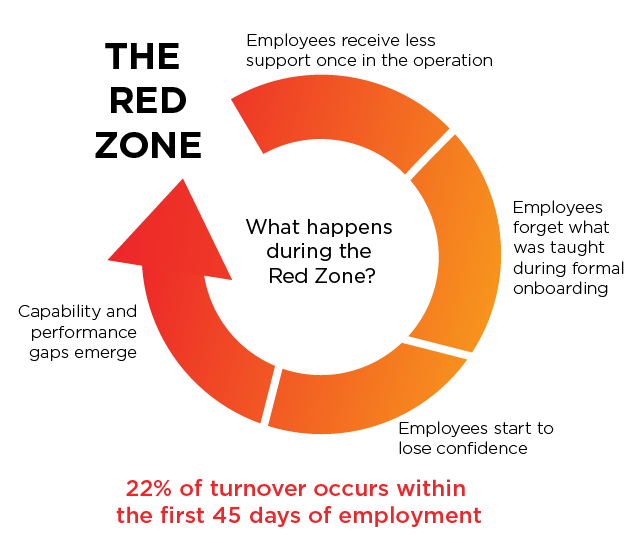 If we just shift our mindset from this idea that onboarding must have discrete start and end date, to allowing onboarding to be a continuous activity, the Red Zone would cease to exist. If we focused up front on just the key things employees needed to know to function on the floor, instead of the universe of things they could potentially need to know, how much easier would it be to remember? If we continued to measure and fill knowledge gaps with personalized knowledge for the duration of their employment, how much more skilled would they be? 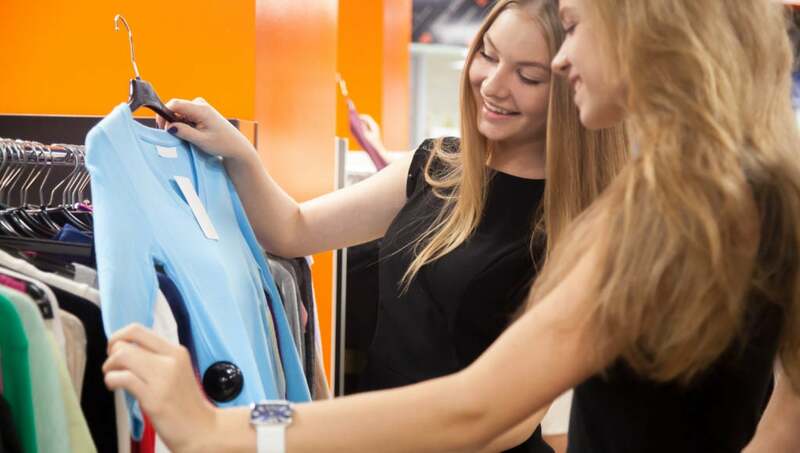 If we delivered ongoing training in fun, engaging, easy-to-remember bursts each shift, how much more confident would they feel in front of customers? Whether your goal is to keep employees in place longer, or get take them from seasonal to seasoned faster, implementing a continuous onboarding strategy will have a huge impact on your success.